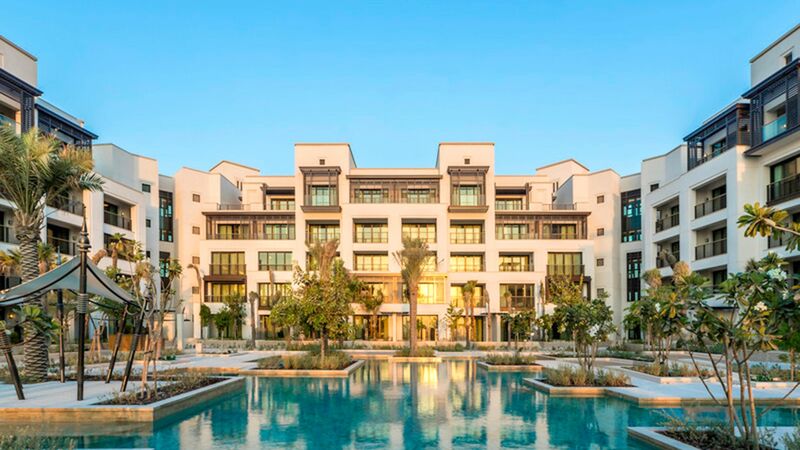 Jumeriah Al Naseem is the latest hotel in the award winning Madinat Jumeriah resort, set in tropical gardens that lead down to a private beach. Bathe in turquoise waters and sample a range of water sports, from diving to banana boat rides. There are 430 rooms and suites with chic interiors inspired by sand dunes and Dubai’s Bedouin traditions, with views over the Arabian Gulf. 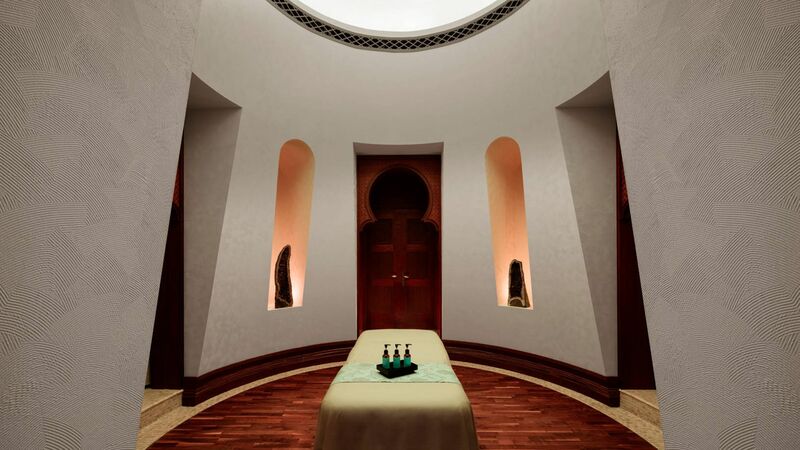 Guests have access to all the facilities at the Madinat Jumeriah resort, including five pools, a fitness centre and decadent Talise Spa offering a full menu of treatments, as well as a traditional hammam and wet spa area. Dine in one of seven restaurants and bars directly in Al Naseem or explore 40 others spread around the Madinat resort, serving cuisine from around the world. Jumeriah Al Naseem has won awards for its Kids’ Clubs and guests can also enjoy complimentary access to the nearby Wild Wadi Waterpark, which has over 30 attractions, as well as tennis courts, a nearby golf course and range of sporting facilities. The hotel has 430 rooms and suites. A range of hotel child prices applies to ages 0–3 & 4–11 years. Al Mandhar, which translates to ‘amazing views’, is an elegant lobby lounge which looks over the ocean and iconic Burj Al Arab, one of the tallest hotels in the world. This patisserie specialises in afternoon tea with savoury scones and cakes, as well as local Karak teas and chai on offer. There’s a casual dress code at Al Mandhar Lounge. This trendy rooftop bar overlooks the hotel’s tropical gardens and beach. Ambar serves modern mezzeh dishes to share while you sip on a drink and watch the sunset over the Arabian Gulf. Ambar has a smart casual dress code. Try some traditional flatbreads, Arabian style pizzas, by the pool. Cool off with a drink and enjoy some healthy and delicious snacks, including salads and sandwiches. Kalsa has a casual dress code and beach attire is allowed. Rockfish is set on the beachfront and offers a menu of freshly prepared Mediterranean seafood with an Arabian twist. This is a great place to watch the sunset, and you can also listen to a live DJ at the neighbouring Drum Bar in the evenings from Thursday to Saturday. Open: 12:30 – 15:30 and 18:30 – 23:30. There’s a smart casual dress code at Rockfish. This Polynesian pool bar is set next to adult only swimming pool and is named after the process of making rum from sugarcane. Cool off in the pool with a refreshing drink from the swim up bar, or feast on island style food like ceviche. Sugarmash has a casual dress code and beach attire is allowed. Summersalt is set by a pool next to the beach and has a large, open terrace. Enjoy signature cocktails and a resident DJ as well as modern Asian dishes and international poolside favourites. Summersalt has a casual dress code and beach attire is allowed. Guests should be aged 21 and over, children are only permitted if accompanied by an adult staying at Jumeirah Al Naseem. Come to The Palmery for its extensive international breakfast, lunch and dinner buffets. Everything is prepared with fresh produce and the relaxed setting is perfect for family dining, with open terraces boasting views of the ocean and Burj Al Arab. Open: 06:30 – 11:00, 12:30 – 15:30 and 18:30 – 23:00. The Palmery has a casual dress code. The hotel has its own private, one mile stretch of beach. Sink your toes into soft sand and wade into the clear blue waters. Order food and drinks directly from your sun lounger while taking in views of the Burj Al Arab. If you’re feeling more active there are plenty of water sports on offer, from kayaking to dinghy rides and kitesurfing. Guests at Jumeriah Al Naseem have full use of the resort’s five large pools, all of which have plenty of sun loungers. There’s a dedicated pool for kids and another adults only pool with a swim up bar. 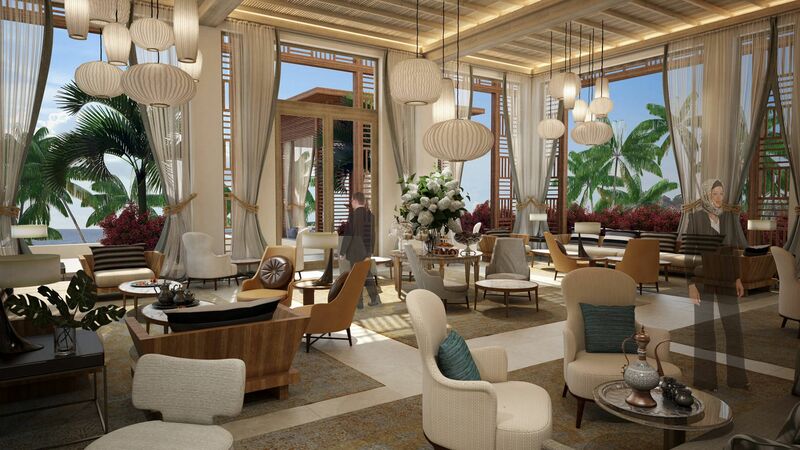 Relax in tropical garden surroundings with views of the neighbouring beach. Guests have complimentary access to the award winning Sinbad’s Kids’ Club, located at the nearby Madinat Jumeirah Al Qasr. Come along anytime or book in with the babysitting service in advance. The clubs are run by fully trained staff and feature a packed timetable of activities including face painting, sports and crafts. Kids will love exploring the play areas and pool. Jumeriah Al Naseem has its own separate KiDS club, which guests have complimentary access to. Children can take part in games, crafts and activities or have fun in the outdoor playground and splash pad. Spend some time pampering yourself at the opulent Talise Spa, named one of the World’s Best Hotel Spa Brands. Set among gardens, the spa has 26 treatment rooms, including three couple’s suites. Indulge in a massage, facial or body treatment performed by an expert therapist. Afterwards, chill out in the relaxation areas and infra-red sauna, steam room and plunge pools. You can also have a massage on the beach in a cabana or visit the yoga studio. Children under 16 must be accompanied by an adult at the spa. Jumeriah Al Naseem guests have full access to the resort’s well equipped gym, which has a range of fitness machines and a climbing wall. There are also programmes for the whole family, including group exercise classes. 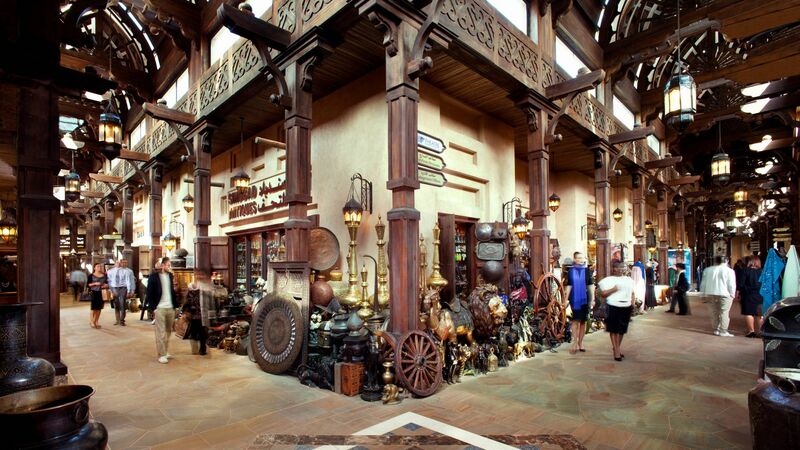 Do some shopping at Madinat Jumeriah’s Souk, which offers a mix of Middle Eastern shopping and luxury fashion. 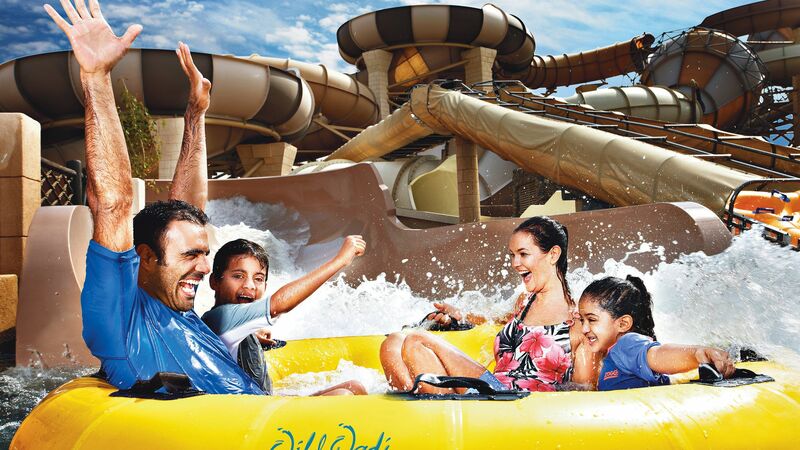 Spend an action-packed day out at the Wild Wadi Waterpark, which has thrilling rides, waterslides and attractions. Enjoy a live show at the Madinat Theatre, with music, dances and performances which will keep the whole family entertained. The Jumeirah Al Naseem’s water sports centre has everything, from windsurfing to kayaking. Sporting facilities include tennis and beach volleyball. The concierge can also arrange desert dune safaris and trips to the nearby turtle rehabilitation project. Jumeirah Al Naseem is located in the extensive Jumeirah Madinat resort complex, which has over 40 restaurants, a mile long stretch of beach and plenty of sports and activities. Wild Wadi Waterpark is under 10 minutes away and provides the perfect spot for a day out with the family, with its many slides and pools. Jumeirah Beach is on your doorstep and offers luxury hotels, Michelin starred menus and lively bars, while Dubai City Centre can be reached with a quick journey on the monorail. Here you can enjoy designer shopping, visit the souks or make the most of the aquariums, theme parks and lots more. 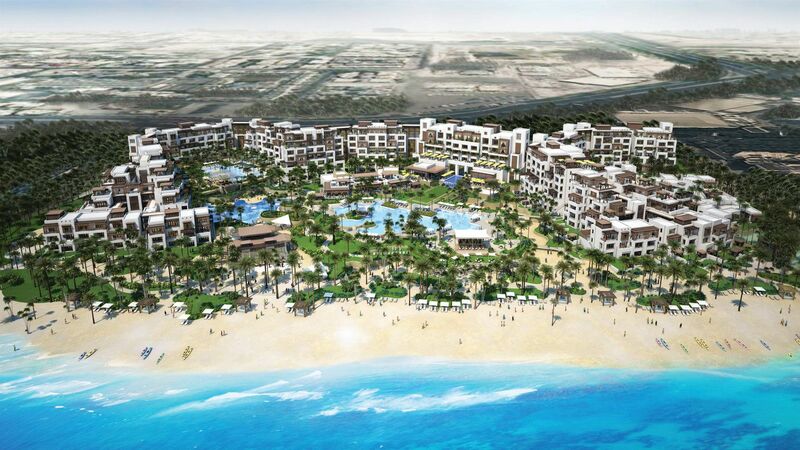 Jumeirah Al Naseem is 30 minutes from Dubai Airport. Resort Deluxe Rooms measure approximately 51m² and are contemporary in design with soft, neutral décor and furnishings. The rooms have views of the resort with gardens and swimming pools beyond, and feature a king-size bed with a spacious open plan bathroom that has both a shower and bathtub. Facilities include a HD television, safe, hairdryer, minibar, tea and coffee making facilities, ironing facilities and a complimentary newspaper and Wi-Fi. Resort Superior Rooms are larger in size and measure approximately 60m². Similar to the Deluxe Rooms they have views over the resort to the gardens and swimming pools. The rooms have a king-size bed and also a spacious open plan bathroom with shower and bathtub. Room facilities are as above. Ocean Deluxe Rooms measure approximately 51m² and feature all of the same facilities as the Resort Deluxe Rooms but with stunning views of the ocean. Ocean Club Superior Rooms measure approximately 60m² and feature a king-size bed, spacious bathroom with bathtub and shower and views of the beautiful ocean. Facilities include a HD television, safe, hairdryer, minibar, tea and coffee making facilities, ironing facilities and a complimentary newspaper and Wi-Fi. This hotel is located just across Burj el Arab, beautiful ocean view room, everything perfectly organised, very friendly service. Drumbar for sunset and Rockfish restaurant are the best places to be. Everything has its price - but it is worthwhile. Thank you! We stayed here for a week at the beginning of April- we are a family of Varying ages, myself, my Mum, 20year old son+his girlfriend, 12year old+2 1/2 year old daughters. The rooms... WOW! They were spacious and absolutely stunning! Modern but in keeping with the place. The whole hotel is understated but stunning. Beautiful main swimming pool (they have an adult pool too but we didn?? ?t visit. ), great beach and the service on the beach was fantastic! Whether you sit by the pool or on the beach, you get lovely little extras staggered throughout the day- sunglasses cleaned, ice lollies, mini smoothies, face mist etc-such a lovely touch! All the restaurants are fantastic! ???Rockfish??? was gorgeous as was the main restaurant ?? ?The Palmery??? in the hotel headed by Sandeep and his wonderful team- he really made our stay special giving us fabulous service and making us feel like royalty! You must try ?? ?Black Tap??? if you want a Wow milkshake or burger! Its not part of the hotel so not included in the dine package, but right next-door to it, (literally a 10 second walk, between Al Naseem and Mina A???Salam). This hotel really has something for everyone and is so centrally located to all the main attractions....we will definitely be visiting again one day... Thank you Al Naseem and your staff for such a special holiday! I have stayed in this hotel on many occasions and it never lets me down, the staff are so helpful, nothing is too much. I go to completely relax and refresh myself and do not even need to leave the hotel as there is everything that I need. The parlmery restaurant staff are superb as they remember what you like and where you like to sit from your previous visits, and you have every possibility of food you could wish for, the manager steven is fantastic he looks after all of his customers and makes sure they get exactly what they want. You would not be disappointed if you stayed here. Until now i had a problem, in where to go in November/December that the weather would not let my wife and daughters down, because it would rain or storm for a few days and every body would go crazy. We tried Maldives a few times(always had at least days of rain in 12), Antigua (not bad, only 2 days of rain), Mauritius (also 2 days of rain but could swim in the ocean because of the coral and very windy),and the French Polynesia is still out of our reach, in budget or the problem of we are 5 and need to stay in 2 rooms or suite, so all of the this problems disappeared, with the bonus of a great service of a club lounge that comes with the family suite. Next year... of course, we are going back!! !